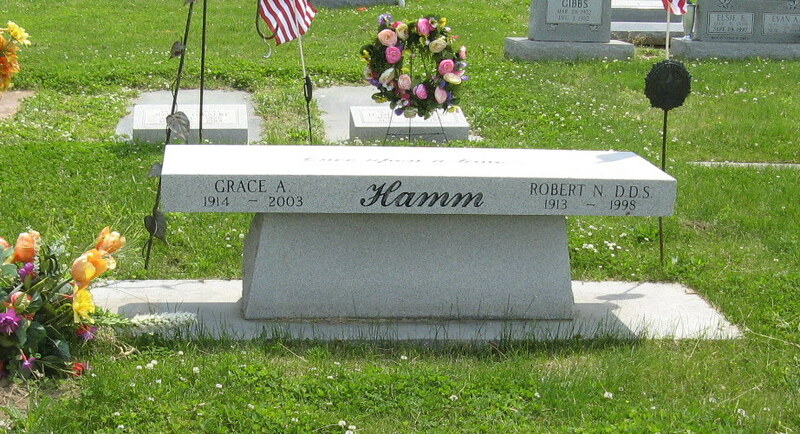 This bench is the stone for Robert and Grace Rothwell Hamm in Mt. Pulaski Cemetery. It’s unique, much like Grace. Doc Hamm was the dentist for years. Grace had been a teacher.